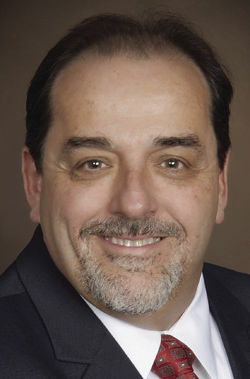 McALLEN — Physician Joseph M. Caporusso is the first candidate, as of Monday, to file his name on the ballot in the special election to fill the District 1 seat on the city commission. Commissioners last week voted to call a special election on Jan. 20, 2018. Such action came after incumbent Richard Cortez announced in September that he will run for Hidalgo County judge, which creates a vacancy, according to the Texas Constitution. Caporusso also filed with the city secretary’s office to appoint his campaign treasurer, bookkeeper Sam Lara. Timothy Wilkins has filed to appoint a campaign treasurer with the city secretary’s office but has yet to file for a place on the Jan. 20 ballot. Wilkins appointed Raul A. Moreno to be his campaign treasurer. Moreno ran unsuccessfully earlier this year for the McAllen ISD board of trustees.